What’s in a brand story? Take a moment to think about your favorite brand. What makes you like it so much? Cool products? Low prices? Convenience? Chances are, it’s something much less tangible than any of those things. For us to truly care about a brand, we need to feel an emotional connection with them. So, how do you get people to emotionally connect with your brand? You create great brand stories. Storytelling is one of the oldest forms of sharing information, which may be why it resonates so deeply with us. Are you ready to create great brand stories that capture the imagination? Those that help customers to understand what you’re all about? That forge a deep, long-term connection between your buyers and your brand? Whether you’re a new business or have been going for years, this advice applies to you. 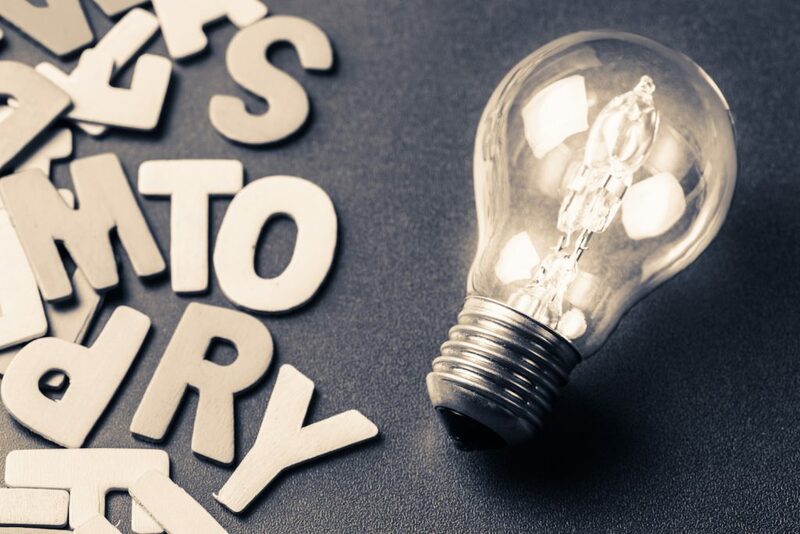 Follow these nine simple steps to create an amazing brand story. This might sound obvious, but it can sometimes be tricky to answer. Why exactly does your brand exist? What’s your mission? Why is the world a better place with your brand in it? If you’re not sure yet, don’t worry. That’s the whole point of this exercise. Here are some questions that should help you to understand exactly why your brand exists, and how you can communicate that to others. You sat down one day and dreamt up this company. Your idea was so compelling that you put in hours of blood, sweat, and tears to get your company off the ground. Every day, you get out of bed and go to work, recommitting to your original dream. Why? What makes it all worthwhile? If you believe in your brand, others will too. Why did your employees choose to work for you? Your employees could have worked anywhere, but they picked your company. Was it the amazing culture? The innovative ideas? Whatever it is that makes your employees passionate about what you do should be a key part of your brand story. And if you’re not sure, ask them! Your customers are at the center of your brand. The reason they love you is exactly what you need to communicate to others. Read through reviews and testimonials, chat to previous customers, and try to get to the bottom of exactly why they picked you. People love to feel like they’re part of an ongoing adventure. Defining a mission for your brand turns your customers from passive viewers to key participants in your story. Whatever it is, make sure it’s capable of inspiring your customers. So, you’ve figured out why your brand exists – now you just need to put it into words. When developing great brand stories, it’s really important not to focus too much on selling. A story should speak to the human part of the brain, not read like a business essay. Like any narrative, your brand story should have three key sections. This where the conflict is laid out. What problem did you set out to solve when you created your brand? Let’s say you own a company that sells hiking gear for kids. The start of your story could go something like this. Adding a personal touch to your story helps make it more relatable. In brand storytelling, your solution to the problem comes next. Describe how you came up with your solution, and talk about the origins of your brand. Great solutions make great brand stories. Great brand stories should have no end. You should talk about the successes you’ve had, but keep pushing for new and better results. Your story should be presented as something ongoing, exciting and ever-changing. Think about your brand goals, your mission, and your customers. How do they fit into the next chapter of your story? A brand story is more than just a few paragraphs of writing. It’s a philosophy that should inform your entire brand and the way it’s run. However, that doesn’t mean you shouldn’t write your brand story down. You’ll likely want to present a version of your brand story on your website, as part of press releases, and when speaking to others about your brand. But how exactly should you do that? How long should the story be? How should it be written? Keeping things simple is always best. Write your story out without overthinking it, and stick to a friendly, conversational tone. Imagine you’re simply explaining your brand to a friend – not trying to sell it to the whole world. Stick to short paragraphs and simple sentences. Be clear – don’t beat around the bush. Edit, edit, edit. Keep only the essence of your story, with no filler. Be genuine. Customers can sense when a brand story is insincere. You don’t need to be Shakespeare to write great brand stories. You just need to be passionate about your business. Your brand story is not about you. I repeat, your brand story is not about you. Let’s remember the ultimate purpose of all great brand stories – to win more business. How will you do that if your customers feel like they’re not a part of your brand? Your story should be customer-centred wherever possible, and there are many ways to achieve that. You need to show customers what impact they’re having. Customers should feel like they’re part of a community. Turning your brand into a community is a clever move – it makes your consumers active, rather than passive. Create connections between your buyers through your website, social media, and real life events. Make this sense of community a key part of your story – this will really set you apart from competitors. Buyers need to know how they can help shape your story. Do they know how to get involved in shaping your future? Giving feedback on new products. Becoming part of your community. If there’s a section of your brand story that doesn’t involve your customers, ask yourself why. Great brand stories include the customer, they don’t shut them out. How do you know that you’ve told a great joke to a friend? When you hear them repeat it to someone else, of course. The same logic applies when creating great brand stories. It’s all very well telling your own brand story, but the story becomes even more effective when someone else is doing the telling. It’s been shown that 82% of Americans seek recommendations from family and friends before making a purchase. People trust their friends and family and will pay attention to the brands they care about. You want your brand to be so amazing, different, and unique that customers just can’t help but tell others about it. And then, you need to make it easy for them to do so. Asking for referrals – satisfied customers are often happy to help out. Posting on social media – make your story easy to share. Offering rewards for referring new customers – incentives can really boost customer sharing. Connecting on social media – you could create hashtags for fans of your brand to share using. Great brand stories should be easy for customers to share. Make sure yours is and you’ll soon have plenty of enthusiastic brand ambassadors. Create a video detailing your brand story and share on YouTube. Write your brand story as a Facebook post and encourage sharing. Turn your brand story into a tall graphic to share on Pinterest. Create a Facebook photo album that tells your story in order. Tell your story via Instagram stories – collections of short video clips, photos, and text. Tweet your story – use multiple numbered tweets to give yourself more room. Create an infographic for a data-driven look at your story. Tell great brand stories visually on social media. Using stock images. These appear inauthentic and cold – not what you want. Overusing hashtags without a clear reason why. Posting too much. This looks desperate and will irritate followers. Content that’s too long. Make it short and easy to digest for maximum engagement. There are so many ways to share your story on social media. Think about what matters to your audience, which sites they tend to hang out on, and the kind of content they’re most likely to share. Fresh storytelling techniques can inject new life into great brand stories. Your brand story should be interwoven seamlessly with your website. That means you’ll need to do more than just create an ‘Our Story’ page, paste in what you’ve written, and call it a day. Every single aspect of your site should reflect and reinforce your story. Here are some of the major areas to consider. Your website design should reflect your story. For example, if you’re all about no-nonsense, getting the job done, your site should be clearly laid out and easy to navigate, with no frills. On the other hand, if your passion is for amazing design, your site should be a show-stopper. Everything from your logo to your typeface should tie together to create a coherent brand image. What should you include on your site, aside from the basics? That all depends on your brand story. If your story has a big emphasis on education, you might provide free training and resources. If you’re all about fun, perhaps you’ll have a games page? Whatever you decide to include on your site, make sure it’s useful to customers and fits in with your story. Keeping things consistent is key when it comes to the tone of voice. If your brand story presents you as young and fresh, the copy on your website should reflect that. Customers that read a chatty brand story, then end up on a website full of dull, dated, overly-formal copy won’t be impressed. And it works both ways – if you’re a serious brand, keep it when communicating on your site. Take a look at your website, and ask yourself if it supports your brand story. A great brand story should be constantly growing and developing, with your customers at the heart of things. After all, are you more interested in a story you’ve finished reading, or one you’re still swept up in the middle of? Send a regular email newsletter to give customers all the latest. Publish blog posts about what your business is up to. Host events during key brand milestones. Encourage customers to share their own journeys with your brand. Ready to start creating great brand stories? The right story can make or break your brand. Keep it honest, engaging and customer-focused, and you can’t go wrong. Start writing your brand story today.